1. 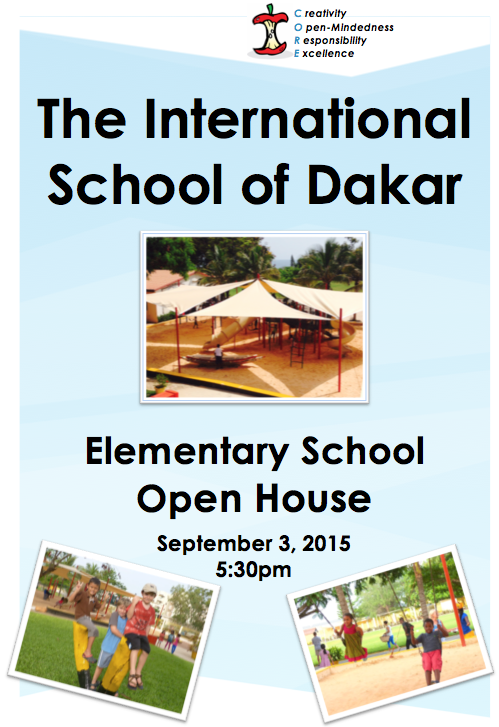 Open House on Sept. 3: Please come along to the Open House which begins in the Gym at 5:30. It is a real chance to hear your teacher speak about how the class operates, and what to expect in this important year ahead. 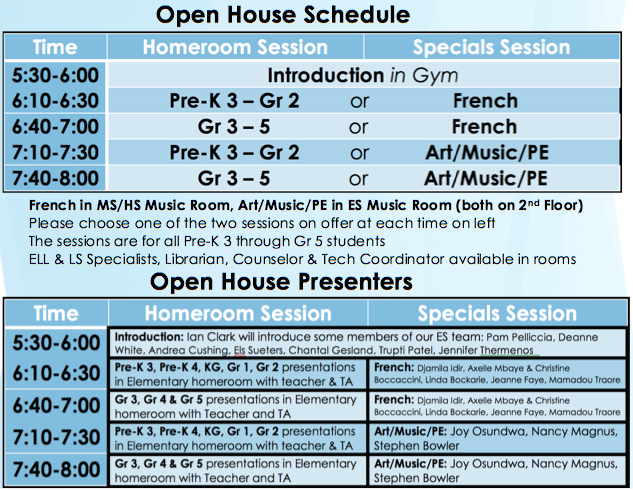 - There will be signs around school Ms. Pam's team of Open House Guides there to help anyone who is looking lost! Anything else? : Things like the Fall calendar events..